Jacques Anquetil – French road racing cyclist. 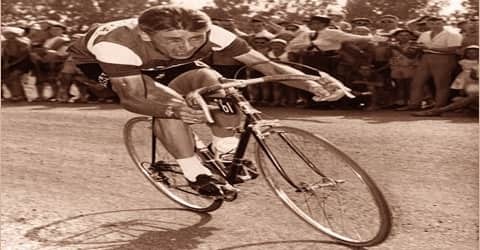 Jacques Anquetil was a French cyclist whose journey in cycling started as an amateur and he went on to become a champion cyclist marking a place in the history of the sports. He was born on January 8, 1934, in Mont-Saint-Aignan, France. He was a five times winner of Tour de France. He, therefore, made history as the pioneer cyclist ever to win the prize a such number of times. The first time was in 1957 and later consecutively from 1961 to 1964. He also earned the title Monsieur Chrono during his career. His first experience with a bicycle was at the age of four. He would ride about 1½ km around his village. Little did he know that a successful career in cycling had just kicked off. In 1950 he acquired his racing license. He was seventeen at the time. 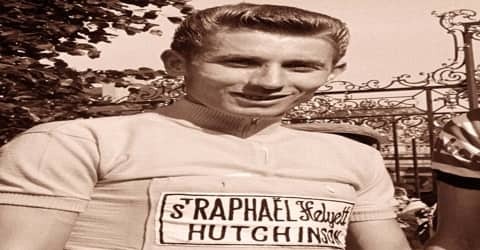 Anquetil stated before the 1961 Tour that he would gain the yellow jersey on day one and wear it all through the tour, a tall order with two previous winners in the field Charly Gaul and Federico Bahamontes but he did it. His victories in stage races such as the Tour were built on an exceptional ability to ride alone against the clock in individual time trial stages, which lent him the name “Monsieur Chrono”. Anquetil emerged as the winner in his first professional race ‘Grand Prix de Lugano’. The same year he won the ‘Grand Prix des Nations’ which he won eight more times. He made history by becoming the first ever road racing cyclist who has won the ‘Tour de France’ 5 times. The other professional achievements of this extraordinary man include winning the ‘Overall Four Days of Dunkirk’, ‘Overall Giro d’Italia’, ‘Critérium des As’, ‘Overall Paris–Nice’, ‘Overall Vuelta an España’ and ‘Overall Critérium du Dauphiné Libéré’ among numerous other titles. His personal life was equally colorful with several relationships. ‘L’Équipe’ the French newspaper tagged him as the champions of champions of France. He was honored with the ‘Chevalier de l’Ordre national du Mérite’ (The National Order of Merit) and the ‘Chevalier de la Légion d’honneur’ (the National Order of the Legion of Honour). 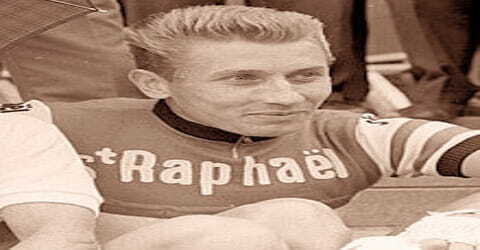 Jacques Anquetil was born on January 8, 1934, to Ernest Anquetil and Marie Anquetil. His father was a builder in Mount-Saint-Aignan in Normandy, France. He was the son of Marie Anquetil and her husband, Ernest Anquetil. His father earned a living as a builder. He worked in Mount-Saint-Aignan located in Normandy, France. He had a brother known as Philippe. The family relocated to Boisguillaume where earned a living through strawberry farming. In 1941, his father refused contracts to work on military installations for the German occupiers and his work dried up. Other members of the family worked in strawberry farming and Anquetil’s father followed them, moving to the hamlet of Bourguet, near Quincampoix. Anquetil had his first bicycle an Alcyon at the age of four and twice a day rode the kilometer and a half to the village and back. There he was taught by a teacher wearing clogs in a classroom heated by a smoking stove. Anquetil studied metal-turning at a technical college situated in Sotteville-lès-Rouen. He later acquired a racing license in December 1950. He also attained qualified in light engineering. He then joined a factory in Sotteville here he only served for a while. 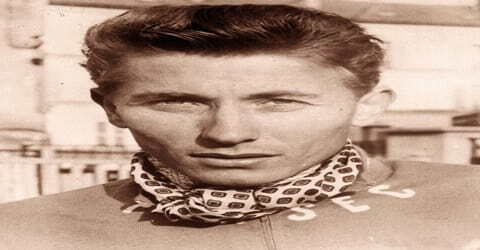 Jacques Anquetil married Janine Boeda on 22 December 1958. She had two children from her previous marriage to a doctor. The couple attempted to have kids of their own, but Janine’s pregnancies were unsuccessful. Annie, therefore, acted as their surrogate mother and bore them their daughter Sophie. Jacques Anquetil had an affair with Dominique, wife of his step-son Alain when the couple joined the Anquetil house. Dominique also had a child from Anquetil. He and Janine later divorced and Sophie began to stay with Janine. Anquetil was fascinated by astronomy and was delighted to meet Yuri Gagarin. The rational side of his character contrasted with his superstition. In the 1964 Tour de France, a fortune-teller called Belline predicted in France-Soir that Anquetil would die on or around the 13th day of the race. His wife Janine, knowing Anquetil’s superstition, hid the paper but Anquetil found out, not least because he was sent cuttings with unsigned letters. Although he was, in general, a rational person he often reflected his superstitious nature that many times overpowered his personality and professional life. He never concealed rather advocated and argued his case strongly for use of drugs to enhance performance and even appointed a lawyer following his disqualification and imposition of a fine by the ‘Belgian cycling federation’. Jacques Anquetil began his career in cycling as an amateur cyclist. He was a fast learner hence didn’t take long to be a skilled cyclist. He won in some tournaments including the Rouen’s ‘Prix Maurice Latour. The tournament took place in May of 1951. Later in 1952, he earned the title of French national amateur road championship. He also earned a bronze medal in the same year for the 100km team road race. In 1952 Anquetil was included in the French team in the ‘Summer Olympics’ and earned a bronze medal in the hundred kilometer team road race. Following his impressive performance, André Boucher recommended him to Francis Pélissier, the cycling team manager of ‘La Perle’ and also a former rider of the ‘Tour de France. He was offered 30,000 old francs per month by Francis Pélissier to ride as an independent cyclist for ‘La Perle’. 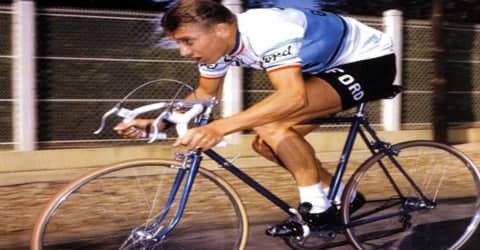 Anquetil passed his qualifications in light engineering and went to work for 50 old francs a day at a factory in Sotteville. He left after 26 days following a disagreement with his boss over time off for training. The AC Sottevillais, founded in 1898, was run by a cycle-dealer, André Boucher, who had a shop in the Place du Trianon in Sotteville. The club had not just Anquetil but Claude LeBer, who became professional pursuit champion in 1955, Jean Jourden, world amateur champion in 1961, and Francis Bazire, who came second in the world amateur championship in 1963. In 1953, Anquetil emerged as the winner in his first professional race ‘Grand Prix de Lugano’ as also the ‘Grand Prix des Nations’ race thus becoming the unofficial champion of the time trial at nineteen years of age. He won the ‘Grand Prix de Lugano’ seven more times in 1954, 1958, 1959, 1960, 1961, 1965 and 1966. The ‘Grand Prix des Nations’ race was won by him eight more times in 1954, 1955, 1956, 1957, 1958, 1961, 1965 and 1966. In June 1956 he was asked by his chief to break the hour record for cycling which was held by Fausto Coppi since November 7, 1942. He agreed that if successful he would give away the reward, half of which shall be retained by the army while the other half will be given to the mother of a soldier, André Dufour who died while fighting at Palestro, Algeria. On June 29, 1956, Anquetil was ultimately successful in beating Coppi’s record of 45.848 km and creating a new hour record of 46.159 km. He also set a record by winning the ‘Super Prestige Pernod International’ four times in the years 1961, 1963, 1965 and 1966. His record was later beaten by Eddy Merckx who won it seven consecutive times starting from 1969. Wonderful Jacques Anquetil has broken the world hour record as he said he would… and then ran into official trouble when he refused to take a trackside dope test demanded by the Italian authorities. An Italian Dr. Giuliano Marena asked for the urine sample, but Anquetil refused and asked him to come to his hotel. Dr. Marena refused and, after waiting a couple of hours at the track, left town to go home to Florence. Anquetil said at his hotel: ‘I didn’t and don’t intend to escape the test, but it must take place under circumstances far different from those at the velodrome. I’m still here and ready to undergo the test.’ While Italian officials talked of taking the matter to the UCI, Dr. Tanguy of the FFC (French cycling federation) took a sample from Anquetil on his return to Rouen, pointing out afterward that it would be valid up to 48 hours after the record attempt. But Raphaël Géminiani, his manager, had all but lost his temper with the Italian medical man and had tried to throw him out of the cabin, though Jacques had remonstrated mildly. Later he said that he understood the tests would be valid for up to 48 hours and said he was trying to locate another doctor for the test. His other achievements include winning the ‘Giro d’Italia’ twice in 1960 and 1964, the ‘Vuelta an España’ in 1963, the ‘Critérium du Dauphiné Libéré’ twice in 1963 and 1965, the ‘Gent–Wevelgem’ in 1964 and the ‘Liège–Bastogne–Liège’ in 1966. An official named Collard told him there would be a drugs test once he had got changed. “Too late”, Anquetil said. “If you can collect it from the soapy water there, go ahead. I’m a human being, not a fountain.” Collard said he would return half an hour later; Anquetil said he would have left for a dinner appointment 140 km away. Two days later the Belgian cycling federation disqualified Anquetil and fined him. Anquetil responded by calling urine tests “a threat to individual liberty” and engaged a lawyer. The case was never heard, the Belgians backed down and Anquetil became the winner. In 1967 he made a new hour record of 47.493 km but it was not considered a record as he refused to take a doping test. He considered it disrespectful to undergo a urine test in a tent encompassing a crowded velodrome. After retirement from professional cycling, he was engaged with several organizations in various capacities. He remained a race director for ‘Paris-Nice’, a managing committee member of ‘Fédération Française de Cyclisme’ and a correspondent of ‘L’Équipe’ among others. 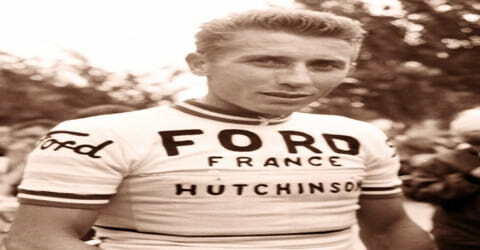 In 1957 Anquetil took part in his first ‘Tour de France’ and emerged the winner. After a gap of few years, he again rode the ‘Tour de France’ in 1961 and won the race again. His winning spree in ‘Tour de France’ continued in the years 1962, 1963 and 1964 thus becoming the first rider to win the title five times. 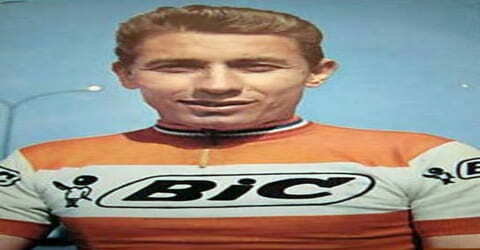 Jacques Anquetil died on November 18th, 1987 at the age of 53 following stomach cancer. His death occurred in Rouen, Seine-Maritime in France. He was laid to rest in Quincampoix village in France. The Jacques Anquetil sports stadium at Quincampoix was dedicated in 1983. There are moves to open a museum in his memory. He finally came to be respected as one of the most intelligent cyclists ever, but when he died in 1987 he was still to a large extent one of cycling’s greatest enigmas. Raphaël Géminiani knew him better than anyone and he was such a perceptive man that his comments are particularly interesting. He said that Jacques was one of the most gifted riders of all time but this was hardly reflected by his record. He had won eight major Tours without once crossing the top of a mountain in the lead. His lack of offensive spirit made Géminiani mad with rage on countless occasions but he was always so incredibly stylish absolute perfection. His inherent shyness can never fully explain his apparent cold indifference. His roots in the Normandy countryside may explain his love of the land but could not excuse his inability to even make a generous gesture. The hard life that his father had experienced could never pardon the economy of effort with which Jacques was obsessed. In the second half of his career, he never made an effort which did not pay off 100 percent. He reduced a race to a few simple calculations, a few danger men and a few places where it was necessary to make an effort. He spent most of the time at the back of the bunch and did not even know the name of most of the riders. 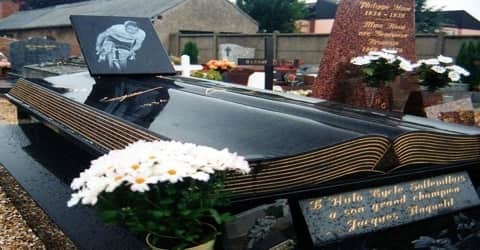 He was a French cyclist whose journey in cycling started as an amateur and he went on to become a champion cyclist marking a place in the history of the sports. His exceptional ability to beat the clock earned him the title ‘Monsieur Chrono’.